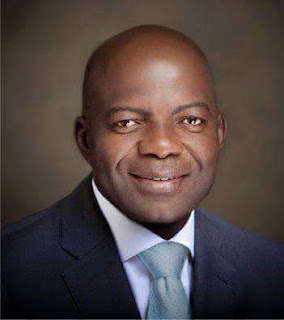 In this interview with some journalists, the All Progressive Grand Alliance candidate in the 2015 Abia State governorship election, Alex Otti, comments on the controversies surrounding his victory against Governor Okezie Ikpeazu. What accounts for the criticism that trailed your victory at the Court of Appeal? 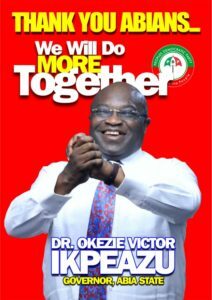 My victory was never criticised by the teeming people of Abia State. 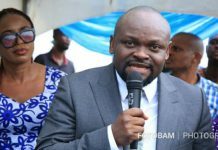 Rather, it was a lawyer paid to do a hatchet job and a few handpicked men hired by the Abia State Government that criticised the judgment. 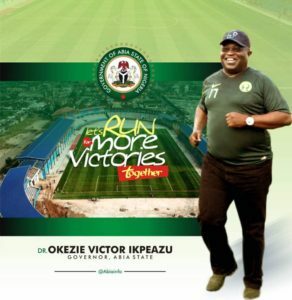 Indeed, the judgment was greeted by spontaneous celebrations in all the nooks and crannies of Abia because it reflected the wish of the people. Anyway, the people know who they voted for. They know that they voted for me and that I won the election. It was after 48 hours of the judgment that the state government mobilised and organised the fake protest. It is unfortunate that some senior citizens of Abia, who are on the payroll of the government, were called out to the streets to protest. Senior citizens should live above board. I understand they are trying to protect their means of livelihood. But petitions are not won on the television or on the streets. 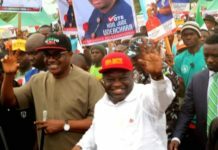 Given the fact that Ikpeazu had shown his intention to appeal the judgment, the hired elders and co-travellers should have conducted themselves with decorum. I do not see how the Supreme Court would not uphold the judgment of the Court of Appeal because the judgment given by the Court of Appeal was well grounded. There are 1.3 million voters in the state. 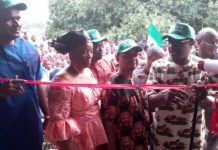 The Peoples Democratic Party in Abia knew it cannot win the governorship election so, the party isolated three local government areas – Osisioma, Obingwa and Isiala-Nwga – to perpetrate electoral fraud. On the day of the election, they ensured violence in these three LGAs. 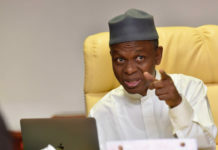 In the 14 other LGAs of the state, I was leading by over 60, 000 votes and they brought in their thugs and ballot boxes stuffed with fake ballot papers, they filled the ballot papers with fake results and they forced the Returning Officer to reverse himself. 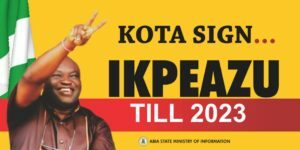 But the Abia State Election Petitions Tribunal upheld the victory of Ikpeazu. The judges at the lower tribunal were misdirected. But we went to the Court of Appeal, where we got a positive judgment. 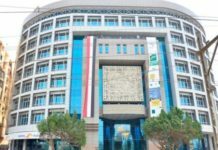 We are more popular than them; we have the support of at least 80 per cent of the populace but we didn’t call people out to the streets to protest the judgment of the lower court. Rather, we went to the Court of Appeal. Abia is the only state where elders were called out to defend falsehood. There’s an allegation that you and your deputy are from the same area and that this would marginalise other parts of the state in terms of appointments. This is one of the tactics the PDP thought they would use to sway the voters but despite flying that kite, they still lost the election. Moreover, the case before the court is not about my place of origin or that of my deputy. My deputy is from Ohafia which is not the same as Isiala Ngwa-South, where I was born, where I lived and where I voted. 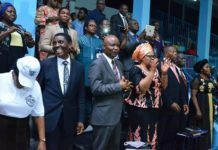 Some critics have frowned on the picking of the Appeal Court judges from Lagos division, saying the composition of the panel should have had a wider spread. I am not a lawyer. I don’t know how panels are set up. If you follow the case that Governor Nyesom Wike filed, the Supreme Court said that the Court of Appeal is the Court of Appeal anywhere, notwithstanding where the court is sitting. They know that they stole my mandate and that is why they are doing everything to stall judgment. What’s your blueprint for the development of Abia State? Going by the drop in oil prices and revenues, I know that governance will not be a tea party but this is the time for creative people, people who have skills, people who won’t go cap in hand to Abuja, people who know what to do, to come into governance. Someone said I can read the balance sheet and that she would vote for me on that account. From the findings I conducted, Abia is gone. Umuahia is a glorified village. I thrive in difficult times when creativity is necessary because I can create something out of nothing. Our people would appreciate it if we provide good roads, hospitals, schools, employment opportunities and security. I will begin from the scratch through youth employment. All the industries in the state are gone. Past governments were watching because they didn’t know what to do. Today, to be a chairman of a local government council, you must be a thug. We’ll stop all that. Insecurity was the major reason why some industries in Abia relocated but job creation is critical to stopping insecurity. We’ll go into agriculture and small-scale enterprises. 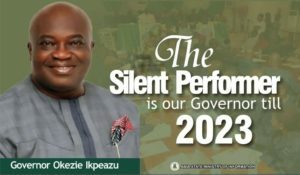 Will you probe the Okezie Ikpeazu administration if you emerge as governor? I won’t call it a probe but everybody should be accountable. If there’s evidence that somebody made away with money, our collective wealth, they should return it – as it is being done at the federal level. This is one of the reasons why some people are against me. They may start to return the money before I come on board. Are you going to defect to the All Progressives Congress if you emerge as governor? There’s no law that says everybody must be in the same party. It was the impunity within the PDP that made people defect to the then ruling party. Someone said that the PDP would rule for 60 years, I think he made a mistake, I think he meant 16 years. I do not have any plan to defect. I have respect for APC chieftain, Asiwaju Bola Tinubu, because he remained within his party and he built it into a formidable platform despite the intimidations from the PDP.